Knowing where to put comics in libraries is a real mystery for many of the people working there. Most of the people working there, I'd say. As with all media, when it comes to violence you can get away with more. (Popeye spends most of his time punching Bluto in the face). If there is a lot of blood and guts (Hellraiser levels) it might have to be ADULT. 1. An adult can appreciate a kid’s comic because they like the art. This is unlike novels for children, where an adult won’t look at it to admire the typeset. There are more technical aspects to graphic novels outwith the story itself to be appreciated by readers. So these should not be relegated to junior or adult. 2. 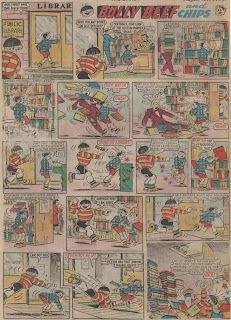 Many comics were made for kids, but now decades have passed. 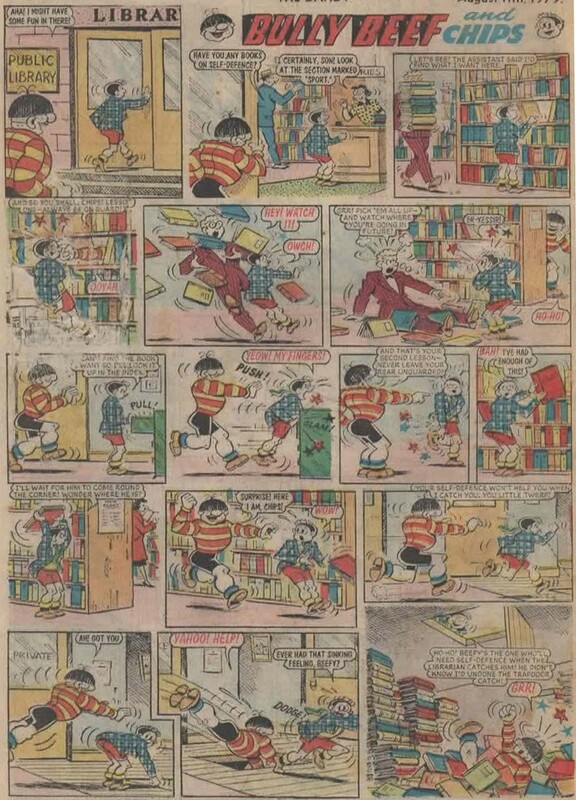 A collection of Victor comics – many adults will be interested to read that nostalgically. It shouldn’t be relegated to junior or adult. 3. More so than regular novels, there is a large amount of “all-ages” material in graphic novels. Books that kids can read, and adults will enjoy too. These should not be relegated to junior or adult. For these reasons, I think a separate graphic novels section placed nebulously between adult / teen / junior is the way to go. I have observed that this is also how they are arranged in some other library authorities. The above ADULT exceptions being marked with a simple “Mature Readers” sticker on the date label, and definitely put in the adult section. SUMMARY: 1 general graphic novels section not directly aligned to either adult, teen or junior. Another smaller section in the adult fiction. This is my account of what I think is the best way to proceed with graphic novels. I do not think using junior and teen categories on the computer system is useful, and will limit issues.